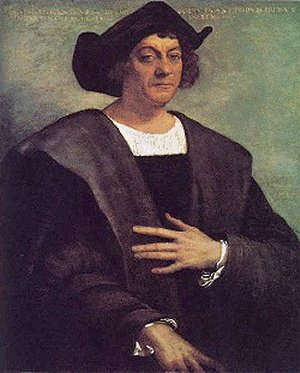 Cristobal Colon, known to English speaking people as Christopher Columbus, discovered a route to the Americas in 1492. He was a Genoese (no one would have dared call him “Italian” to his face) sailor with a lot of experience in the Mediterranean and the North Sea. It is very possible that he had sailed with Bristol fishermen into the North Atlantic and possibly even to Iceland. Much of what we have learned about Columbus is true. His journey was precarious. His crews did almost mutiny. He even kept two separate sets of logs to throw them off. But Columbus did not sail to prove the world was round. Most intelligent people knew that already. Anyone observing a ship sailing to the horizon knew that already. People since ancient times had been trying to calculate the circumference of the earth. It was not a mystery to anyone who lived close to the sea – which was a surprising number of people. The House of Aragon and Castile (there was no such thing as “Spain” then) sponsored Columbus’ 1492 voyage because they were playing catchup with their Portuguese neighbors. They needed a route to Asia that did not involve all the layers of trade in the Middle East. Most importantly, Europe had lost their primary port for goods from Asia when Constantinople had been taken by the Ottoman Turks in 1453. He sailed for wealth. He sailed for fame, but he did not sail to prove the world was round. In fact, during one meeting with Isabella of Castile, he showed his calculations for the diameter of the earth and was laughed out of the court by Isabella’s own mathematicians. It was later proven by his own voyages that Columbus’ number for the diameter of the earth were preposterously low. They never questioned that the world was round; but they knew it was far MORE ROUND than Columbus was willing to admit.